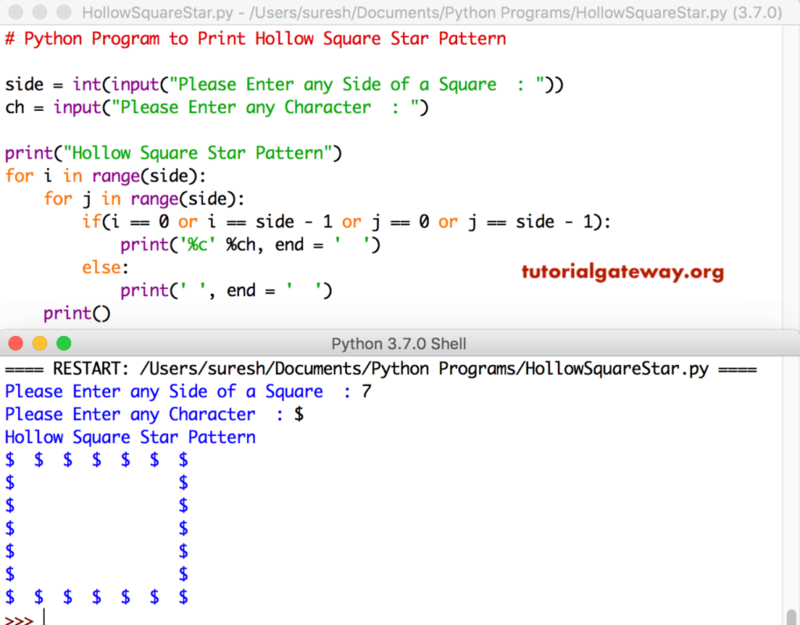 In this article, we will show you, How to write a Python Program to print Hollow Square Star Pattern using For Loop and While Loop with example. This Python program allows user to enter any side of a square. Next, we used Nested For Loop to iterate each and every row and column value. This program allows user to enter his/her own character. Next, it will print hollow square pattern of user specified character.